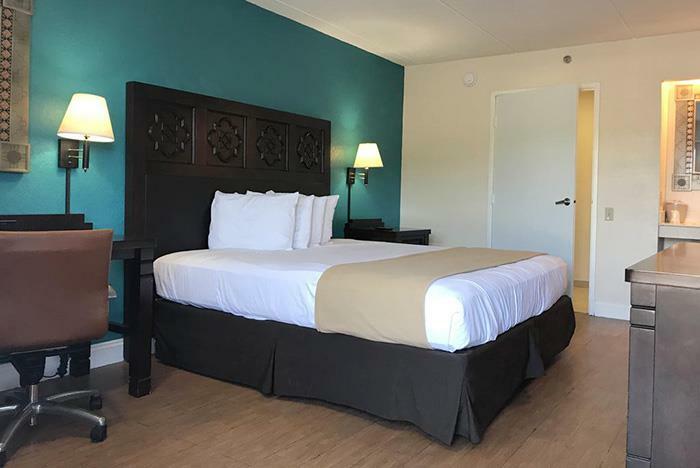 Conveniently located in Kissimmee, Florida, the Sulaf Hotel boasts spacious accommodations bursting with charm. 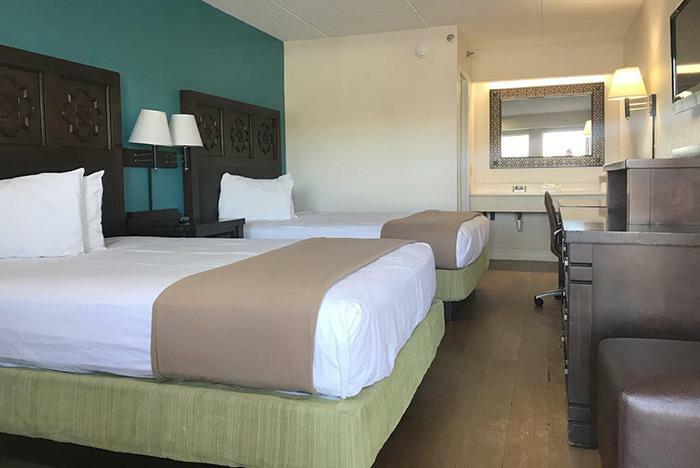 The cozy rooms feature refrigerators, coffee makers, designer toiletries, and other conveniences. Never miss a notification with the free hotel WiFi. 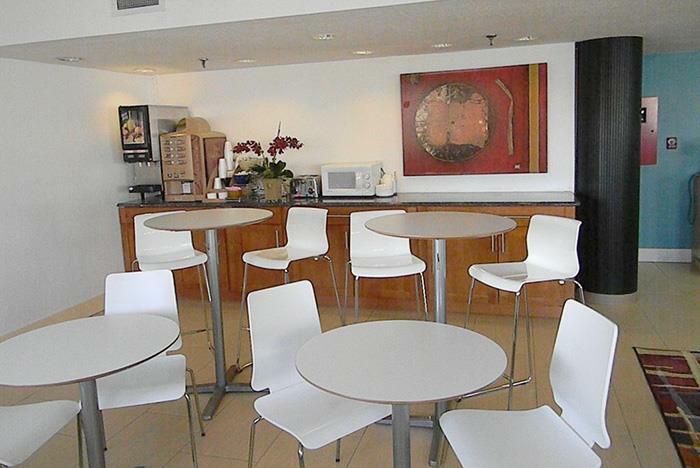 Plus, start your morning with a complimentary deluxe continental breakfast. Car and bus parking is available. Start each day with a deluxe continental breakfast. Ample car and bus parking is available for guests. Lounge at the outdoor pool and sundeck. 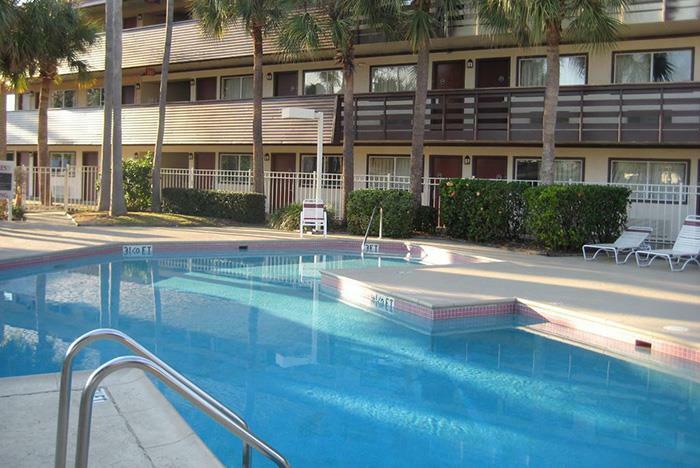 Located 1 mile from the Disney World entrance, 15 miles from Universal Studios, and 11 miles from SeaWorld. THE SULAF HOTEL Offers spacious accommodations with a casual charm for groups of all sizes. 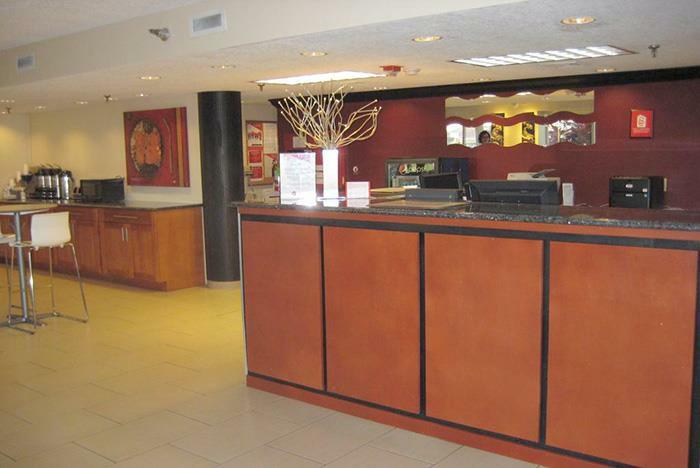 With the great value of our Deluxe Continental Breakfast your group will start out ready for their adventure ahead. We provide ample car and bus parking. 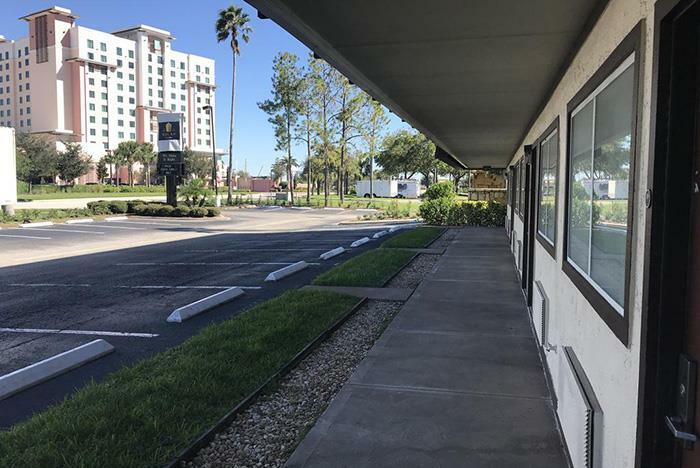 Situated in Kissimmee, this hotel is 1.1 miles (1.8 km) from Museum of Military History and within 3 miles (5 km) of Lake Buena Vista Factory Stores and Capone's Dinner Show. Congo River Golf is 2.8 miles (4.5 km) away. The Sulaf Hotel LBV charges a Resort Fee of $3.50 plus tax per room, per night. The Resort Fee covers wireless internet, local calls, hotel parking, and lobby computer access. At The Sulaf Hotel LBV, our rooms and rates aren’t the only stars of the show. The Hotel strives to have everything you need for business or pleasure – right at your fingertips. 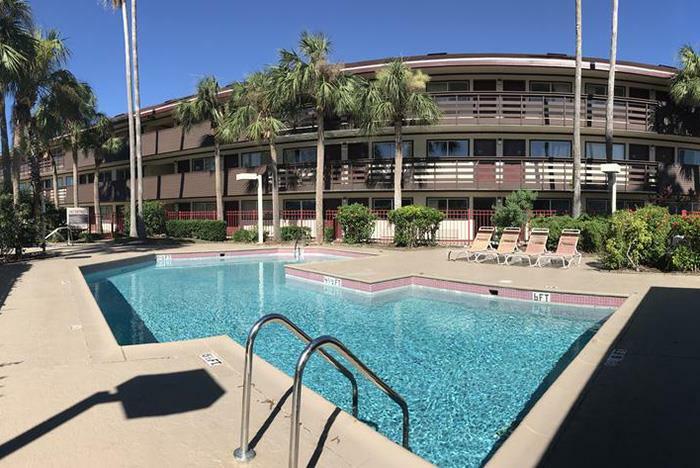 Our Fabulous pool area allows you to relax and unwind under the Florida sunshine year round. Business center with computer and printer. 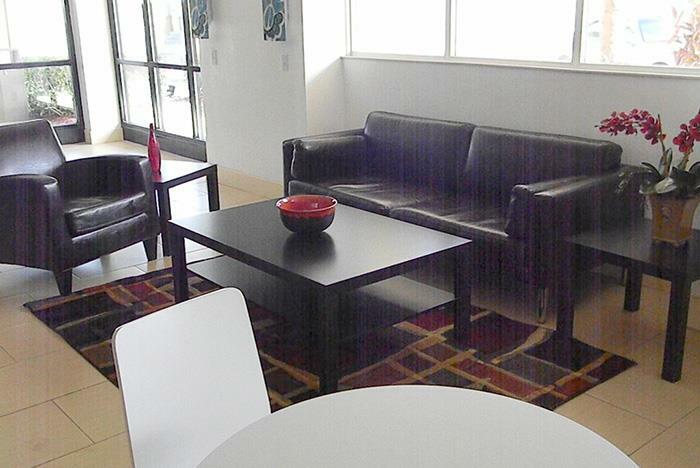 The convenient guest laundry facilities includes coin washers and dryers. Gula Local – Local area guide in Spanish, Portuguese and German. Tune into our in-room Walt Disney World® Resort–“Must Do Disney” show to preview Disney’s top 10 “must see” attractions. Yes. Guests may access the WiFi free of charge? Yes. Self-parking is available for cars and buses. No. The rooms cannot accommodate a crib and/or rollaway bed. No. The hotel is 100% non-smoking. Guests who wish to smoke may do so in the designated outdoor smoking areas. Will my room have a microwave and/or refrigerator? Rooms include mini-fridges. Microwaves are not available.